This is the twenty sided die (D20) from my 'Starry' set. It measures 30 mm (1.2 inch) from side to side, and 37 mm (1.5 inch) from point to point. 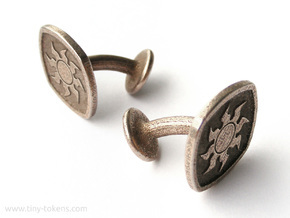 This design is hollow and was optimised for printing in steel or any of the other metals. 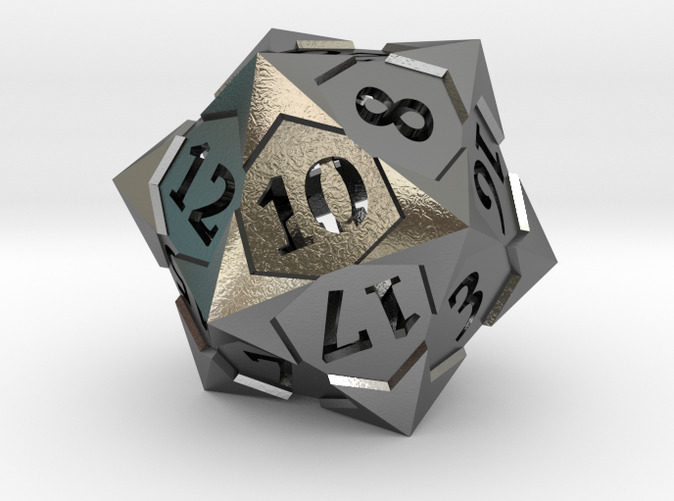 In steel this die weighs about 27 grams. The die is well balanced and gives a fair roll. The numbers are cut out each face, which makes them stand out well against the surface. This 20 sided die follows the regular numbering as seen on most gaming dice, in which the numbers on opposing sides always sum to 21. 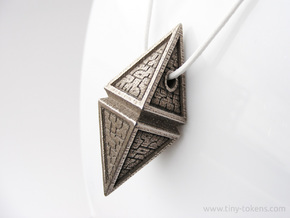 This same design is also available with 'spindown' numbering, to be used as a life counter in games such as Magic: the Gathering here. 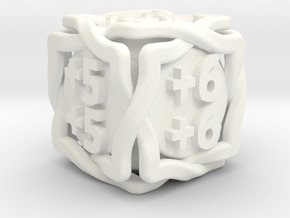 A larger version of this die, which is better suited for printing in plastic, is available here. 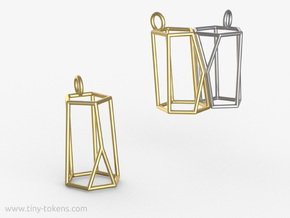 For all the other dice in this set, please have a look at the 'Starry' category in my shop.